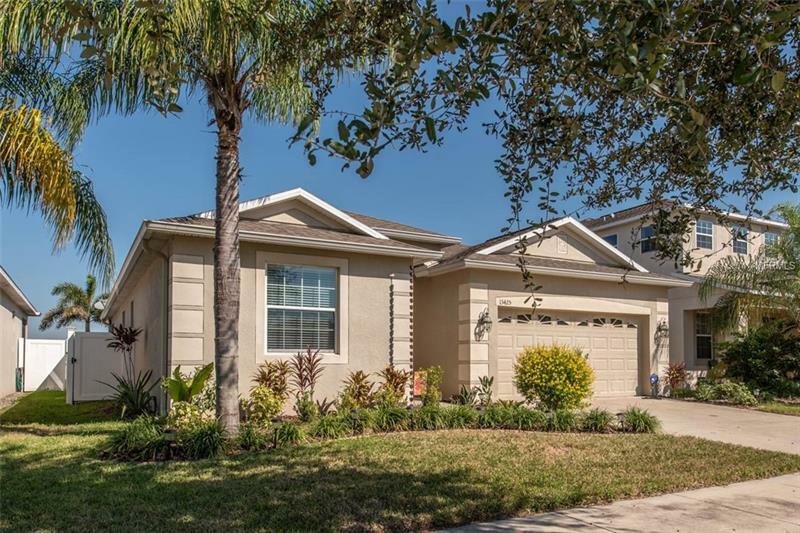 Come take a look at this beautiful pool home! As you walk into the foyer you are greeted with high ceilings, and can see all the way through this open floor plan to the pool with brick paver lanai, as well as the pond view! This large kitchen that boasts stone counter tops, stainless steel appliances, a beautiful wood-look backsplash, and a big walk-in pantry, opens right up to the spacious living/dining room combo with tall sliders to open up to the pool. The master suite features his and hers walk in closets, as well as a soaking tub, stand-up shower, and double vanity sinks in the mater bathroom. This home won't last long! Owners will close home as late as February if Buyers need time!